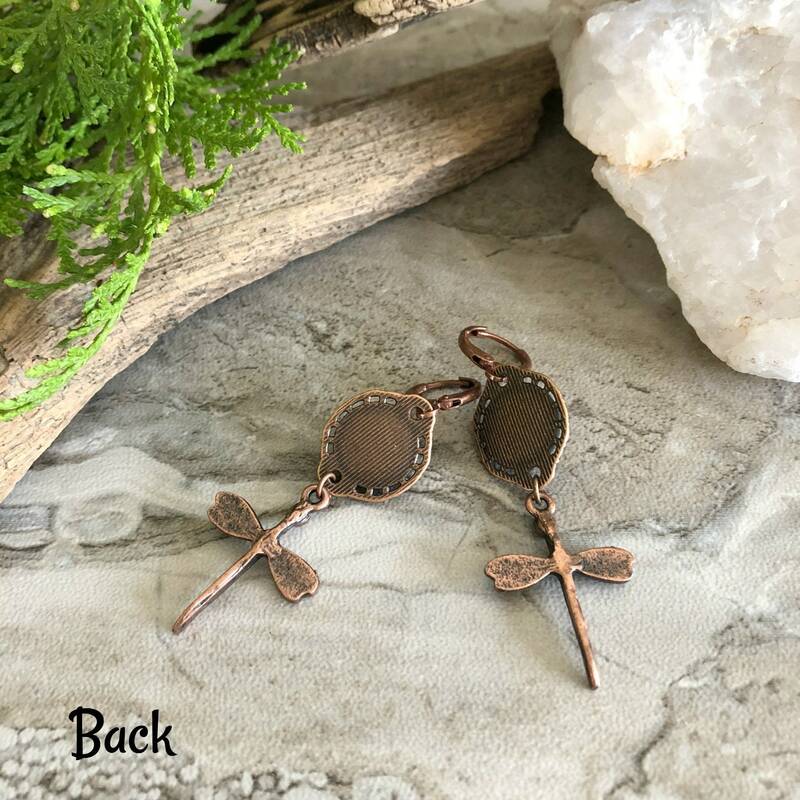 Earring Dangles | Earrings that capture the beauty of nature. 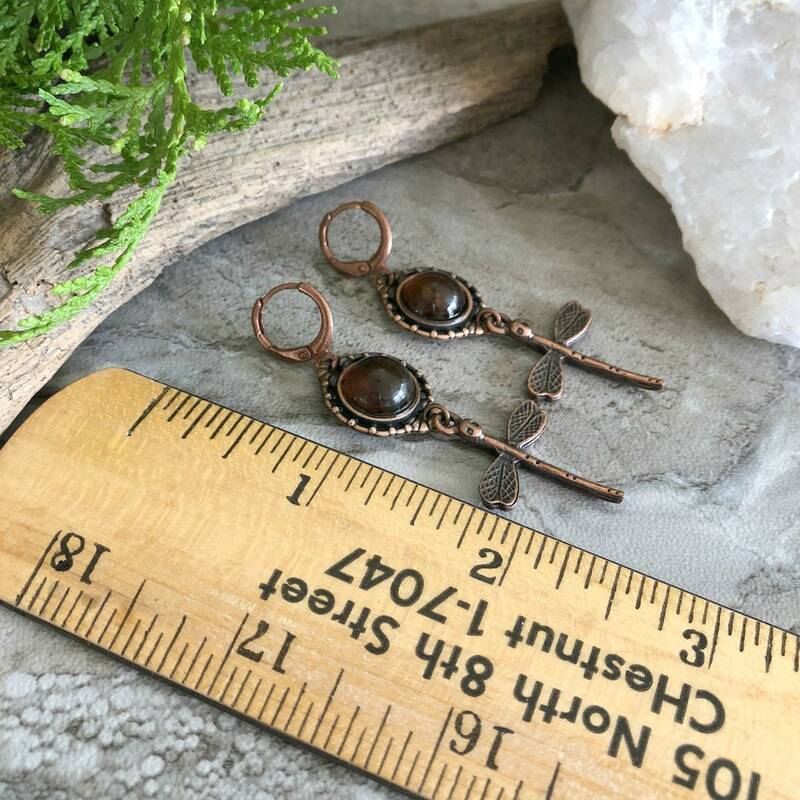 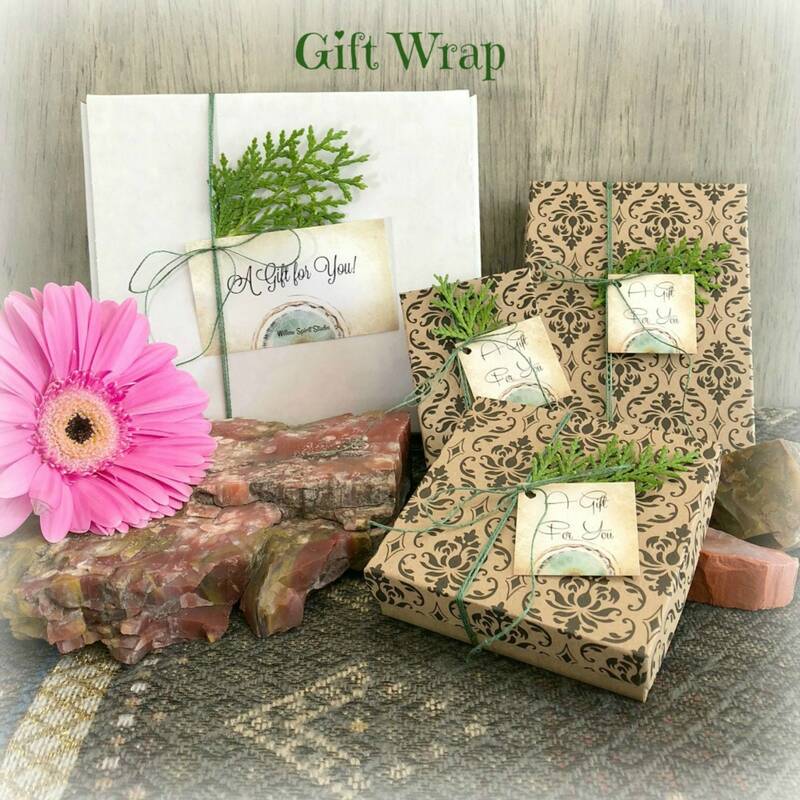 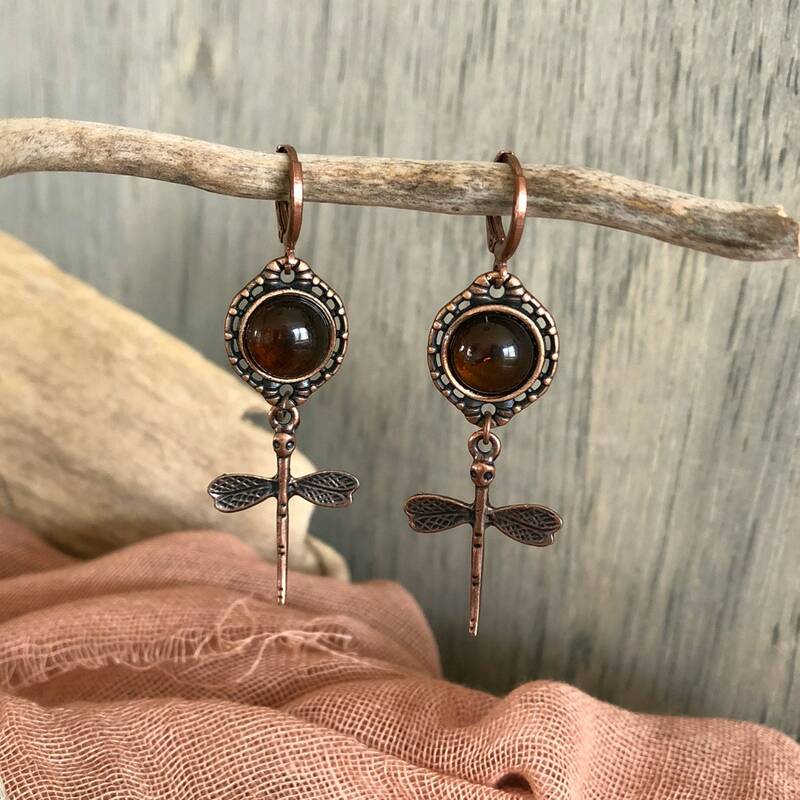 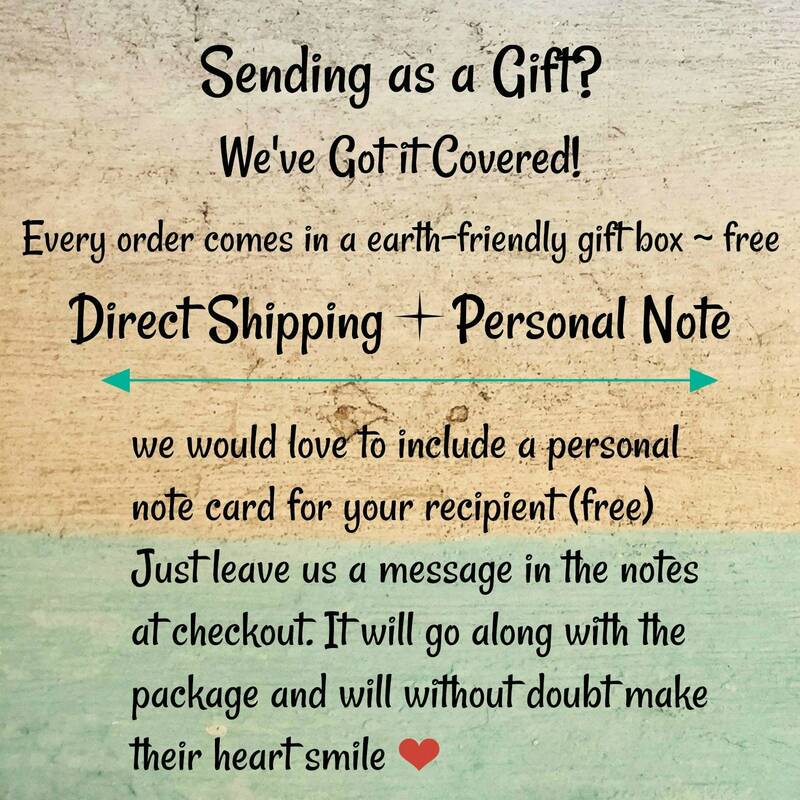 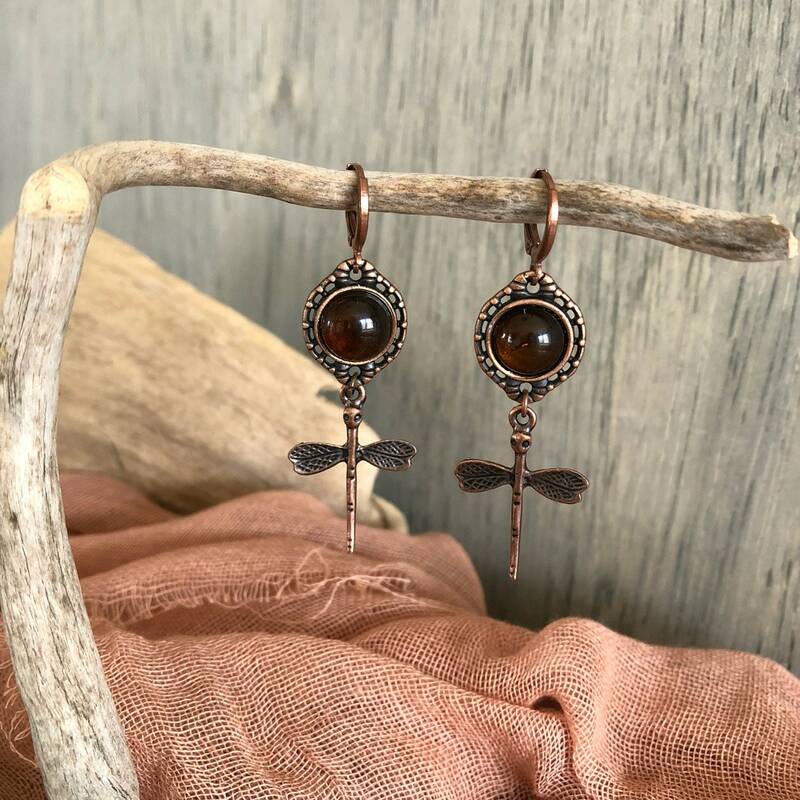 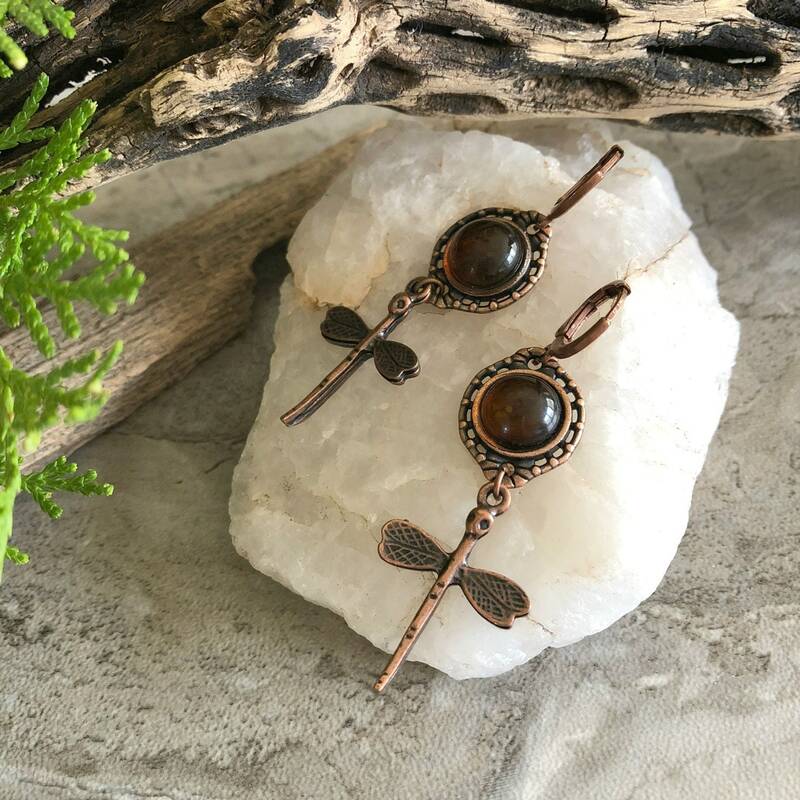 This antique copper jewelry with natural baltic amber makes a magical gift for you! 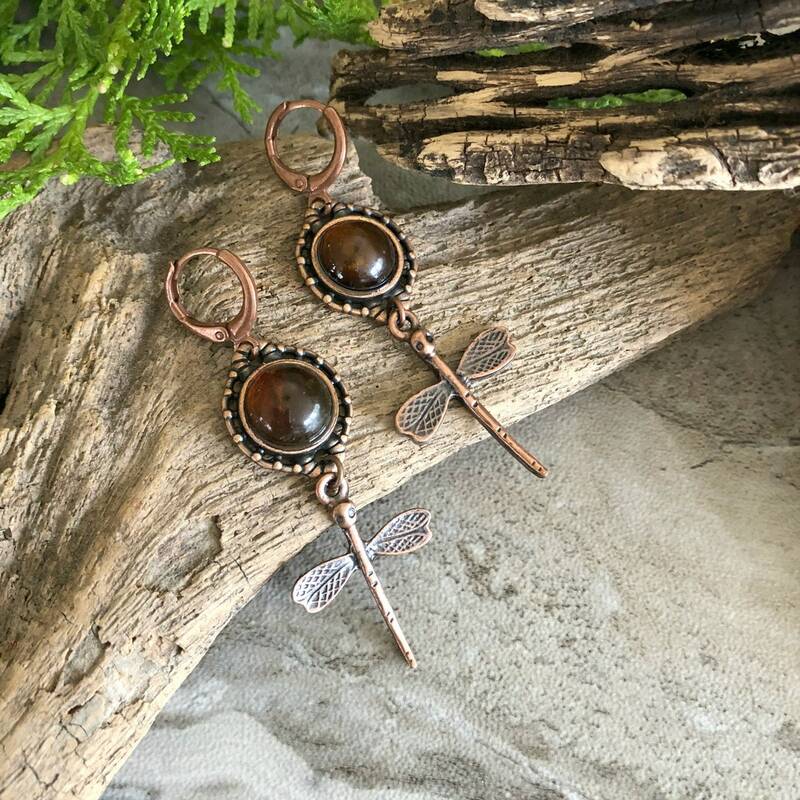 or any dragonfly lover you know.